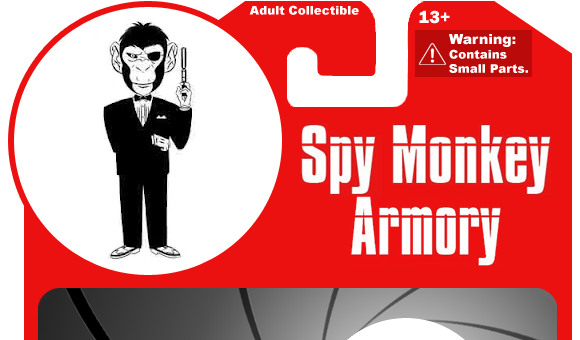 This visual checklist is for the Armory Series accessory line from Spy Monkey Creations, Inc.. This list is updated regularly and is generally considered complete. All Armory Series Weapons feature the Glyos system of interchangeable parts and are compatible with most of the Glyos products from Onell Design and the Outer Space Men products from Four Horsemen Toy Design.